[London, 6 September 2018] The Global managed IT services market continues to grow and is expected to expand at a CAGR of 9.4% through to 2024, taking the total market value from USD 145.3 billion in 2016 to a projected USD 249.4 billion by the end of 2024 according to recent research from Wise Guys Reports. But competition is hotting up and it is clear from research by Gartner and others that MSPs globally are facing a multi-faceted struggle to grow their businesses. On the one hand, there is competition from the public cloud players such as AWS, Google and Microsoft who set pricing levels and have reach but are unable to customise or tailor their offerings to specific verticals. The bulk of MSPs are much smaller, and specialist in technologies covered and markets, but need scale to build their profitability and have limited resources. A key part of the event will also be hearing from the experiences of MSPs themselves and looking at established winning ideas. 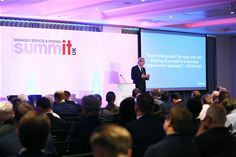 Now in its eighth year, the UK Managed Services & Hosting Summit event will bring leading hardware and software vendors, hosting providers, telecommunications companies, mobile operators and web services providers involved in managed services and hosting together with Managed Service Providers (MSPs) and resellers, integrators and service providers migrating to, or developing their own managed services portfolio and sales of hosted solutions.